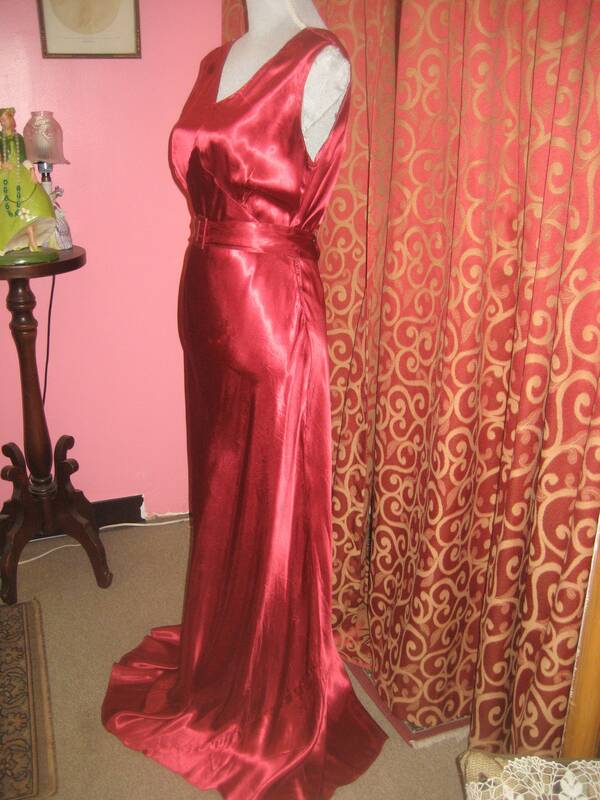 1930's, 38 bust, cranberry red rayon satin bias cut nightgown. 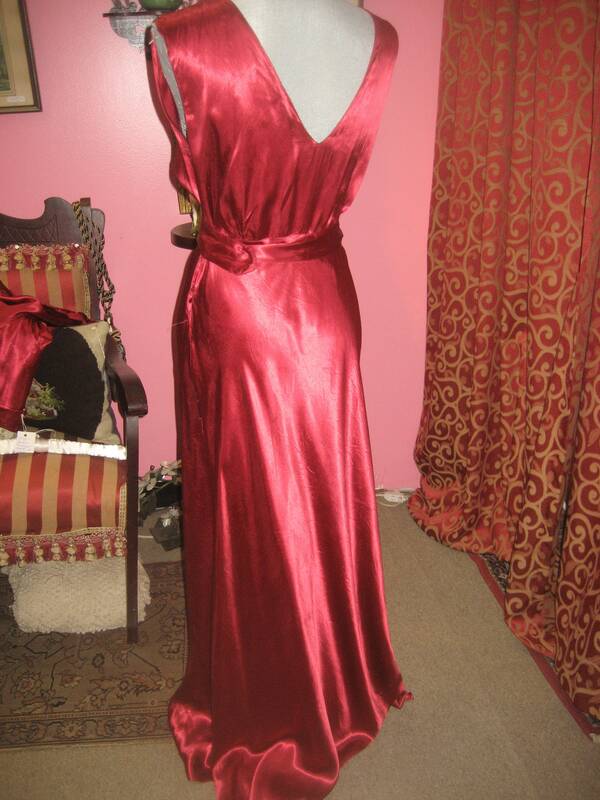 1930's, 38" bust, cranberry red rayon satin bias cut nightgown. 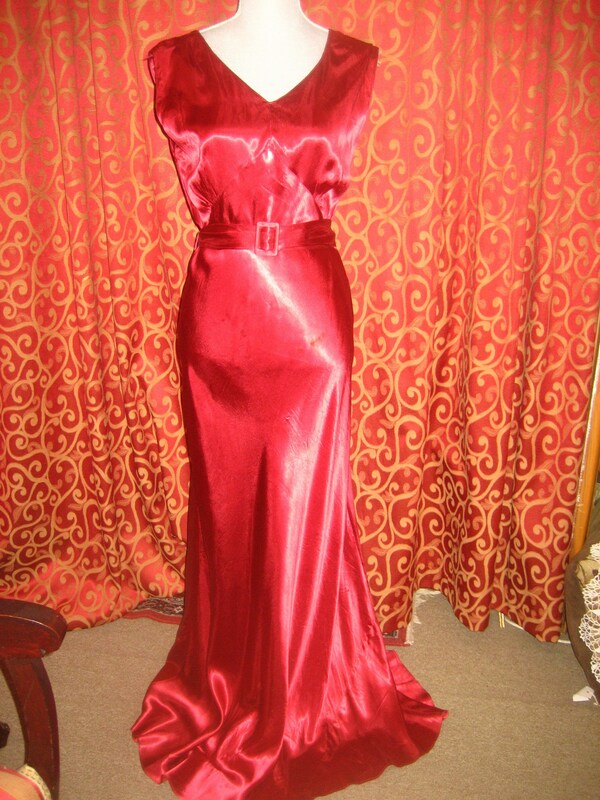 1930's, 38" bust, cranberry red rayon satin bias cut nightgown. 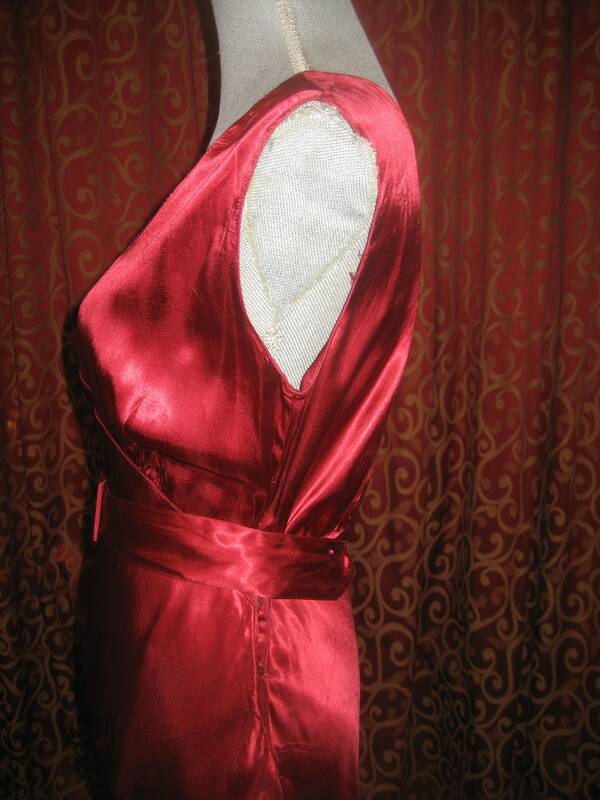 Nightgown has plunging open neckline with wide shoulder straps. The nightgown is full length with matching belt on loops, and is fastened on left side with snaps and hook and eye at waist.